The Unstoppable Tracy has been in Oprah’s magazine Raw Beauty. She’s been a Quest For The Gold World Cup Olympic class sailor. She’s climbed the Himalayan Mountains, captured the 110′ tall ship, won a pair skiing bronze, and is terribly funny. She’s been kicking our asses and was born a 4 way amputee. She’s an award winning leader, humanitarian, decorated athlete and public speaker. Get ready to own your energy in a big way. 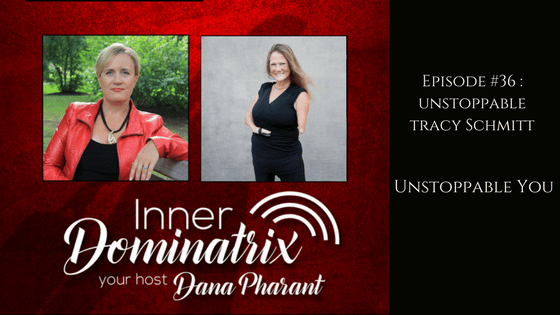 Unstoppable Tracy explains what made her want to go out and do so many incredible things. She talks about the chain of events that started with swimming, and ended up leading her down a path filled with adventure. She talks about her mindset growing up, and how she learned early that she needed to make things happen. She also shares her story about getting into corporate consulting. Tracy also talks about the various things she experienced working with Air Canada. Unstoppable Tracy tells a story about her kindergarten experience, and how some of the simplest moments in her youth translated to bigger perceptions as she got older. She also drops a few important pieces of wisdom surrounding rules and hearing “No”. She also leaves Dana with a story about her first sailing experience, and how it didn’t quite go as smoothly as she expected. Loved being on your show Dana! Incredible power house of confidence! Women everywhere thanks to you are shifting and are no longer checking out making tiny decisions to not speak, not eat the wrong thing, not arrive on time, and instead closing the gap discovering their power to greatness!